Skruf Black line Xtra Strong Slim Portion is a snus from mysterious and rebel Team-X on Skruf. The nicotine content of the product is extra high and the taste has a classic and full-bodied tobacco character. 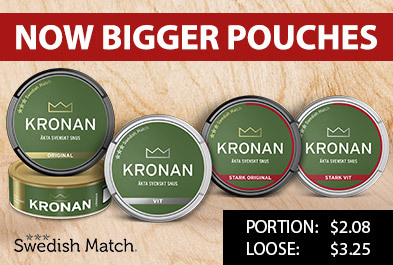 The slim pouch bags, and the high level of tobacco, provide a sturdy snus with optimal fit.